This book brings together recent and original work to illuminate comparisons and contrasts between two former colonies of the British empire. The contributors include some of the top names in history and political science, in Canada and Australia. 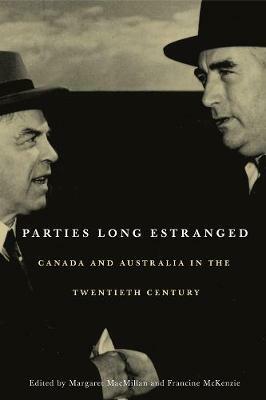 Parties Long Estranged covers the entire 20th century and examines different aspects of Canadian-Australian relations, including trade, civil aviation, military, constitutional, imperial, and diplomatic relations. The comparisons include Aboriginal rights, nation-building, middle powers, and attitudes towards the Empire.